In London, a number of stations on DAB digital radio have changed frequencies and two new stations have launched, as Bauer brings its two Kiss offshoot stations to the capital's airwaves. Affected listeners may need to change their DAB radio presets and rescan their DAB radios if stations are missing. 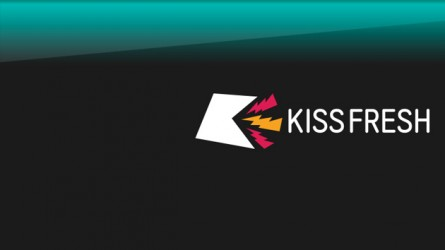 Bauer Media has launched Kiss offspring stations Kiss Fresh and Kisstory on the London 1 DAB multiplex, meaning Kerrang has had to move to London 2. Absolute Radio 90s has also appeared on the London 1 multiplex, ahead of its removal from the national commercial DAB multiplex, giving listeners time to adjust. Meanwhile, Russian radio station Voice of Russia has been relabelled Radio Sputnik, several weeks after the Russian external service rebranded. DAB digital radios are designed to rescan without the need for frequency information, and many will automatically add services in the background. The DAB service is made up of multiplexes, where various stations are bundled together on the same frequency. In London, there are two national multiplexes (BBC and commercial), plus three multiplexes serving London and surrounding area. For reference, the London 1 DAB multiplex is on VHF Block 12C, London 2 is on VHF Block 12A. ...plus stations received from multiplexes serving the Home Counties.